Nintendo has announced Wii MotionPlus - a new, more accurate game controller add-on for its Wii console, prior to the company's official E3 press conference in Los Angeles tomorrow morning. Wii MotionPlus maps the players hand movements in 3D space, a notable improvement on the current infra-red motion sensing technology, which has come in for consistent criticism from gamers since the launch of the console. The timing of the announcement is also important – merely hours before the official Microsoft 'presser', which kicks off shortly. Stay tuned for the full run down of all the news from that event from our guys on the ground, as it happens. You can see from the picture of the Wii MotionPlus that it attaches to the end of the current Wii Remote. A clever move from Nintendo, who will of course play the PR game by not openly claiming that the original Wii Remote's infra-red tech was in any way problematic. 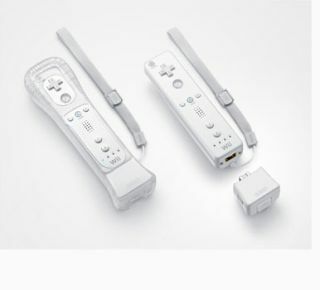 Nintendo.com describes the new Wii controller add-on as follows: 'The upcoming Wii MotionPlus accessory for the revolutionary Wii Remote controller again redefines game control, by more quickly and accurately reflecting motions in a 3-D space. 'The Wii MotionPlus accessory attaches to the end of the Wii Remote and, combined with the accelerometer and the sensor bar, allows for more comprehensive tracking of a player's arm position and orientation, providing players with an unmatched level of precision and immersion.